Twice a year I go into New York for A Time to Play Showcase of new toys that are available for the coming season. I am always interested in trends and what is new again (something grandparents remember but may – or may not - have new twists). There is so much to absorb in one day and now my head is still spinning and my feet hurt. Did I really used to go into NY to work every day? Anyway I just couldn’t wait to share some of my favorites with you – so here are the highlights. Remember this is from a grandmother’s perspective. 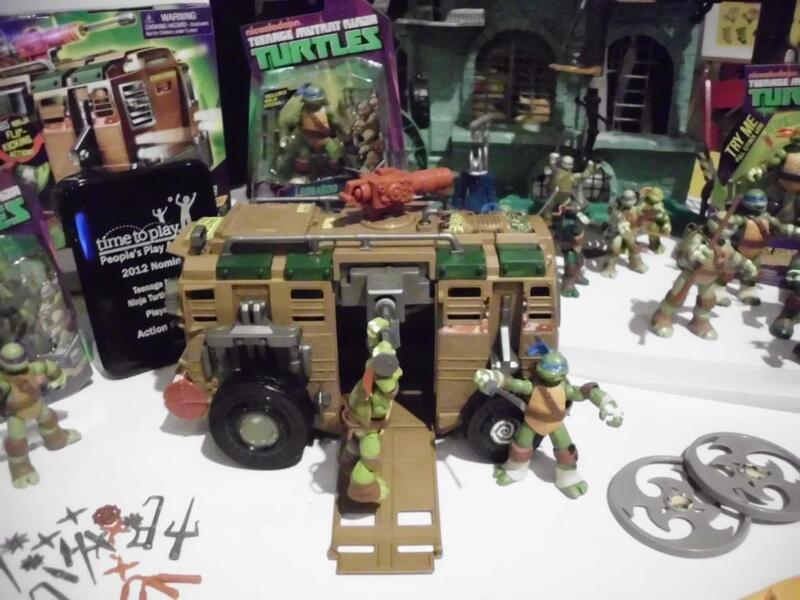 Teenage Mutant Ninja Turtles are Back!!!! Teenage Mutant Ninja Turtles - Remember These? I do. 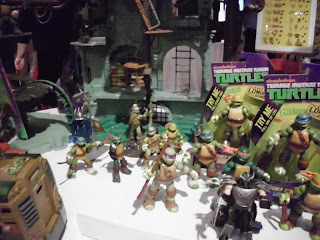 Nickelodeon premieres a new series on the Turtles tomorrow (9/29/12) and there are already new products on the market. There three different sizes of turtles – some with sound effects and all with more articulation than our kids had. I think these will be big with a very wide range of ages. I can picture Dads on the floor on Saturday morning with their kids and if you watch you won’t know who is having more fun. I remember my son had quite a collection. 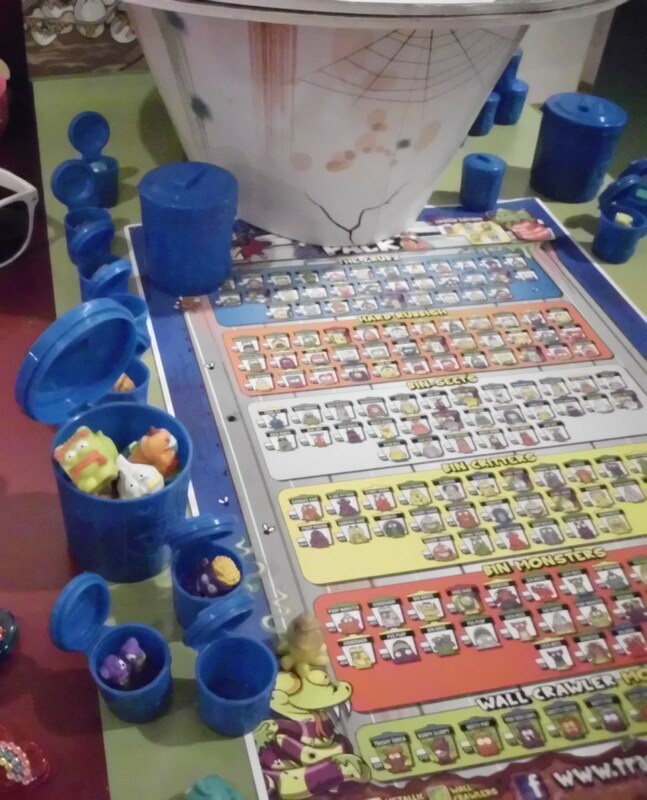 His friends brought over their collections and fun was had by all. I can picture this scene happening may times in the future. If you read my blog you know that I am a soft touch for dolls – all kinds of dolls. 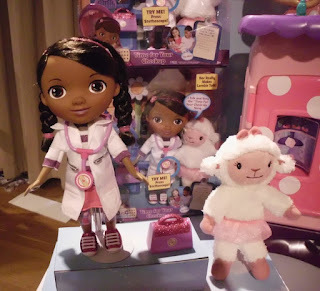 My favorite was Doc McStuffins – Time for Your Check up Doll. 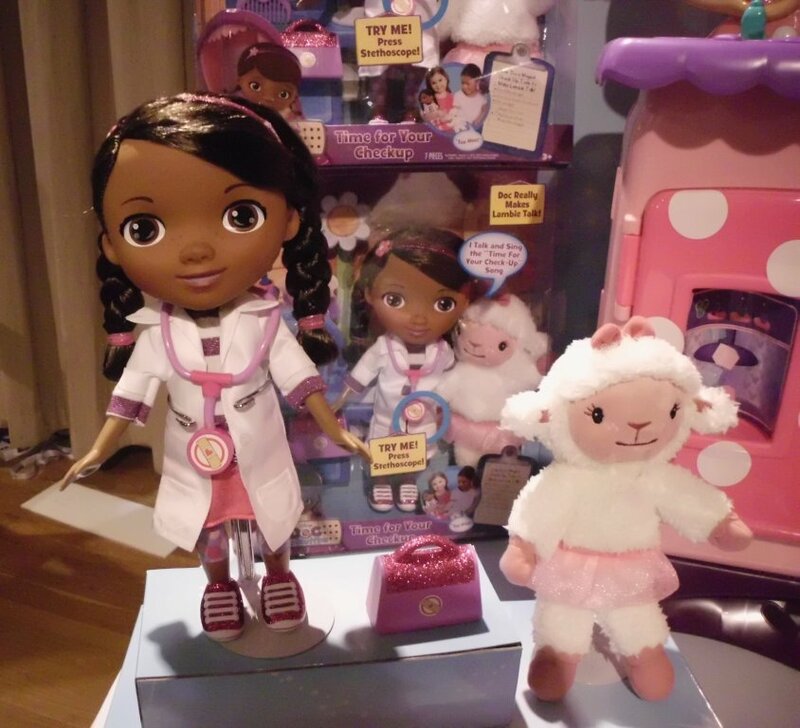 She is based on a new Disney Junior animated series about a girl who heals toys out of her backyard clinic. This doll talks and sings and has some other features that little girls can enjoy lots of imaginative play with. I like the idea of little girls thinking about fixing things and become a doctor. 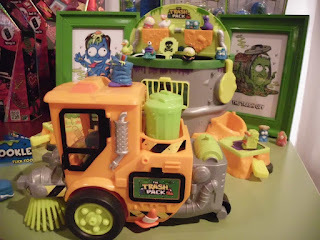 This is one of ToysRUs’s Fabulous 15 Best Toys for this holiday season and it won a Most Wanted award at the Showcase. It’s also on my list. Definitely check this one out – it will make a special holiday gift. Blue Trashies - You saw them first here!!! I know that some of you have been waiting with baited breadth for series 3. And it is finally here!!! Only in ToysRUs until December 1st and then everywhere. But here's a secret - you can get them at Amazon! They are BLUE!!!!!!! And there are 173 new ones to collect. If you don’t know what I am talking about, check out the Trash Pack website right now. 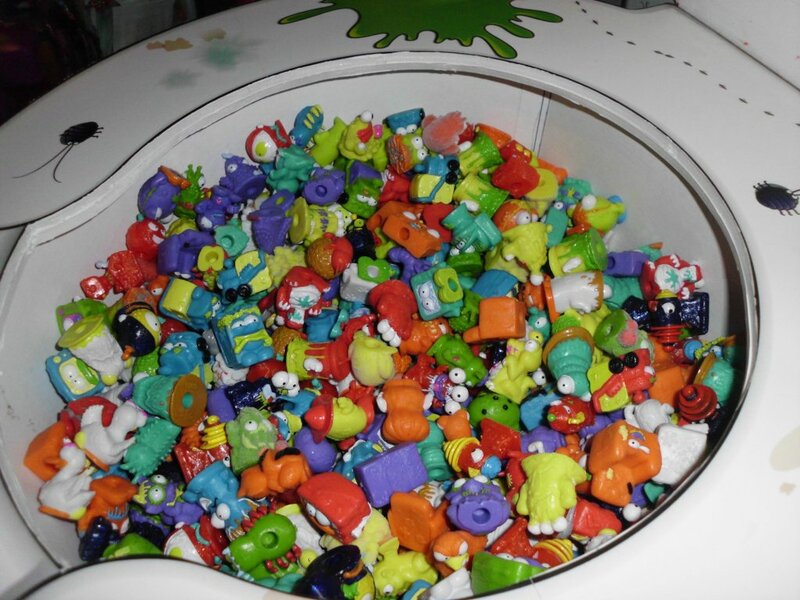 They are these small squishy collectibles – each in its own trash can and this is something that everyone from very young children to adults can enjoy. 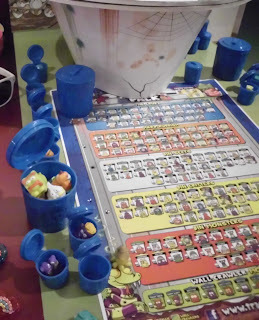 My young grandson loves his “trashies” and we have fun together playing different games that we have made up. We have the original Trash Can and I know that the garbage truck is popular. The Street Sweeper - Cool! This year look for the Street Sweeper which collects the trashies into an “escape pod.” I love this because at this point we have a lot of them, but…if you crash the sweeper the pod will open and there will be trashies everywhere. This is on Zach’s Christmas list – I put it there even though he doesn’t know about it yet. Well this is just a first look post. 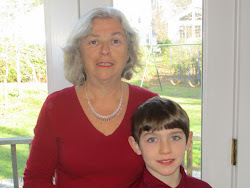 Like the Grandma Chronicles facebook page and see the feed for new blog posst. I’ll have lots more in the next few months and some giveaways of my favorites too.